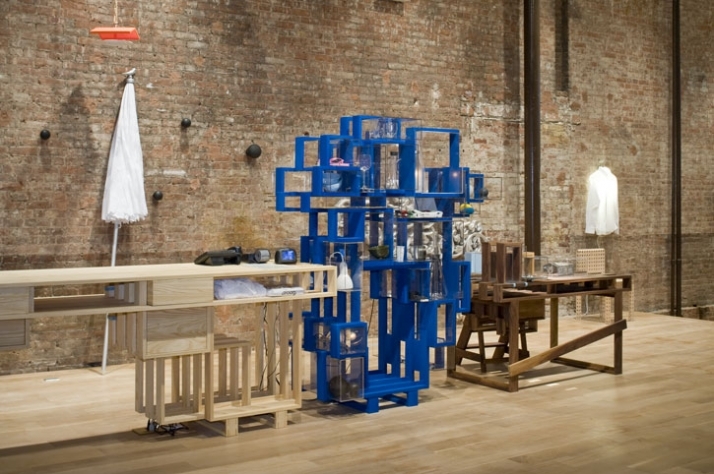 The Amsterdam-based conceptual design company Droog opened the third Droog store worldwide at 76 Greene Street in SoHo New York, on February 26th, 2009. 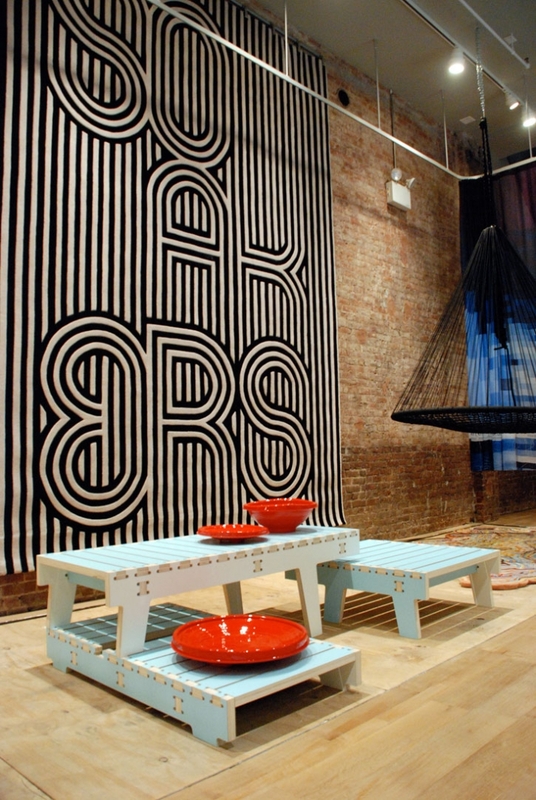 The store features a collection of edition pieces, dozens of smaller items and will play host to various creative exhibitions. In line with the spirit of Droog, the 5,000-square-foot, two-story warehouse interior sets itself apart from SoHo’s high-design district. 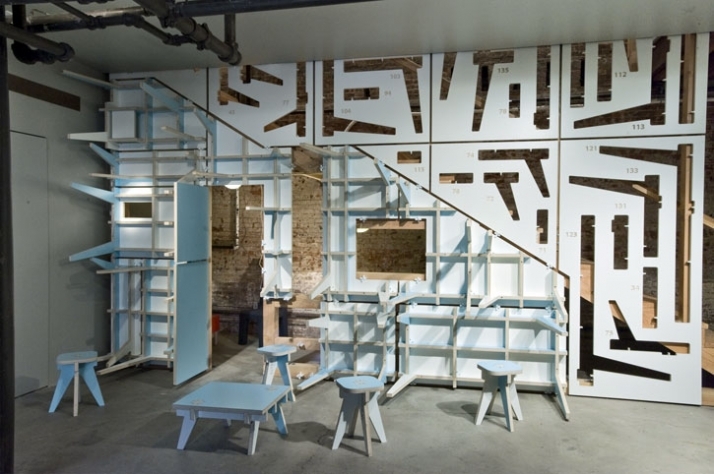 Droog partnered with Dutch designers Studio Makkink & Bey to conceptualize an interior that breaks the codes of store design. 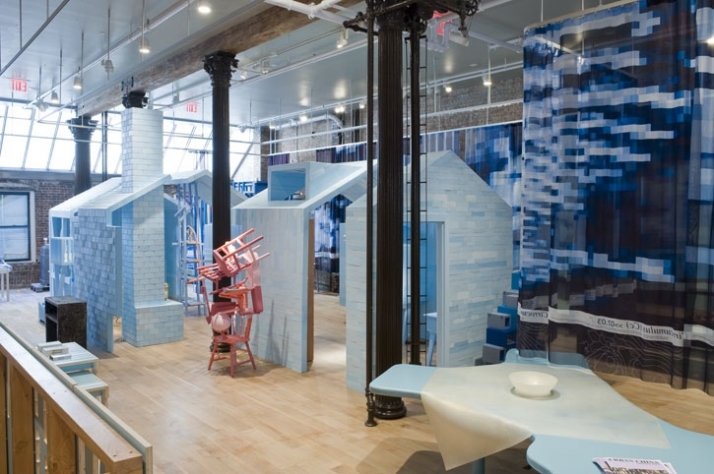 The studio took a store of which all parts could be taken home and pushed the brief one step further by blending objects, store fittings and architecture. 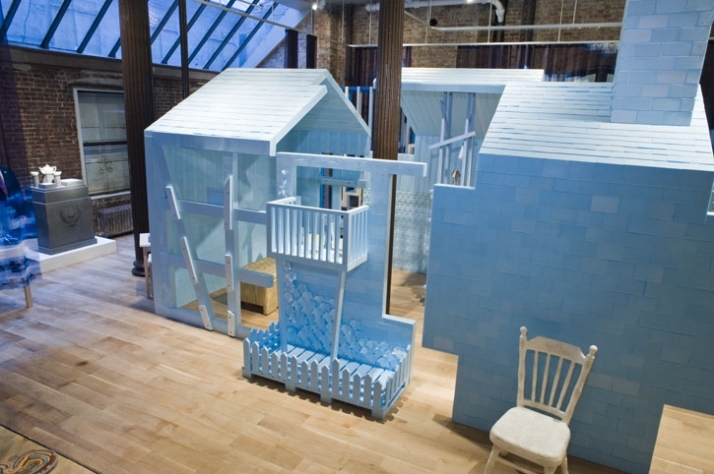 The store consists of a house constructed of polyurethane foam and other materials including wood or stone. 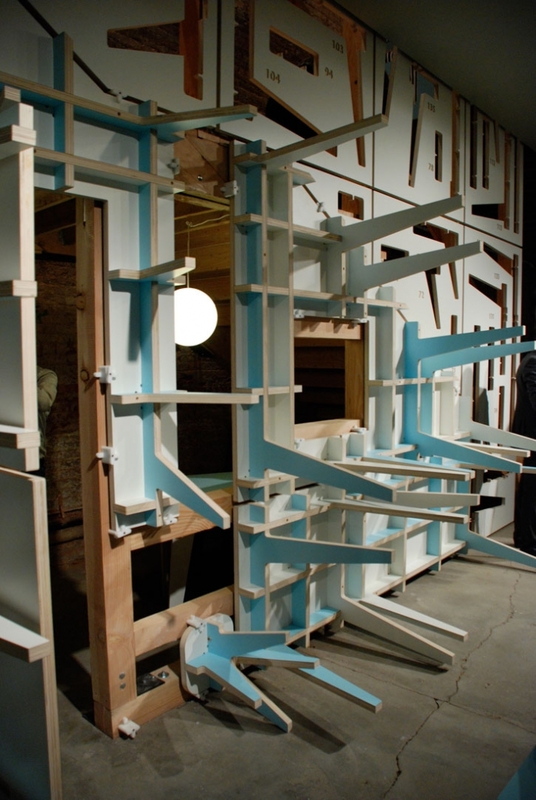 These pieces stand on their own within the store, as backdrops to the Droog collection and blurring with the store architecture. Customers can purchase the parts and even have those parts made to fit and function in their own house, for example a working chimney or a staircase in the size and material of one’s choice. 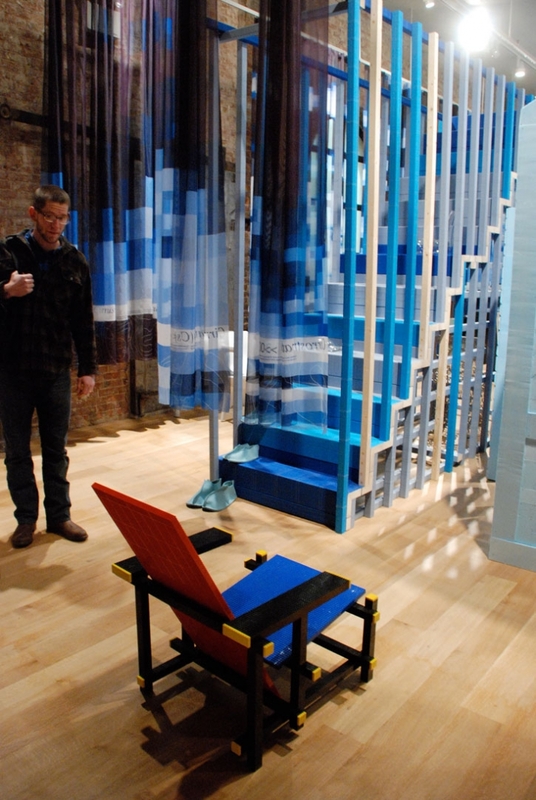 House of Blue presents Droog as a retailer of conceptual objects, but also as a total interior outfitter, offering customized parts from its store to the home interiors of the United States. The Droog collection features classics from the early ’90s like Chest of drawers by Tejo Remy and 85 lamps by Rody Graumans, high-tech pieces like Heavy lightweight by Bas Warmoeskerken, delicate items like Sugar cage by Sofie Lachaert and Luc d’Hanis, slowly emerging products like Slow glow lamp by NEXT architects and Aura Luz Melis, new work by new designers like Limited fungi by Katharina Mischer, mass-production pieces like Sticky lamp by Chris Kabel and editions like the Body table by Atelier van Lieshout. Working from a mentality that values what it is to be human, each Droog product tells a story about themes such as memories, nature and craftsmanship. Droog embodies a luxury of content; it develops innovative concepts that change the perspective on design and daily life. 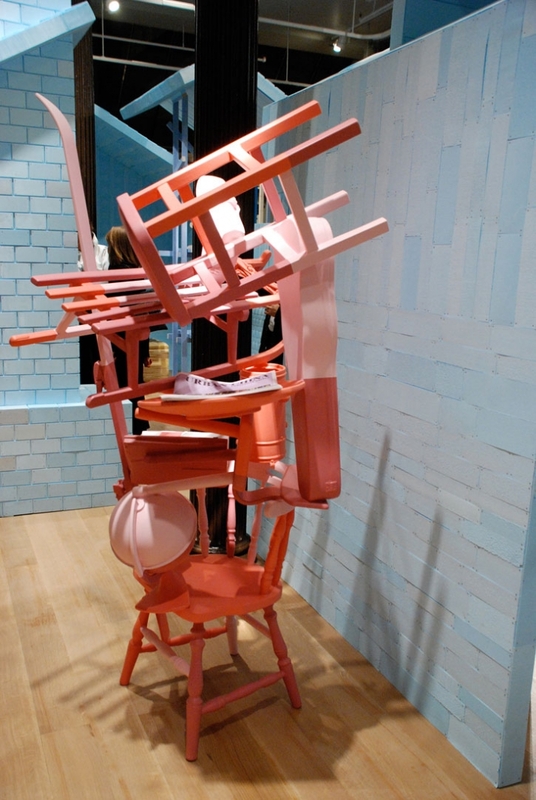 Editions exist only when products are difficult to make or when they have art historical value. Founded in 1993 by art critic and historian Renny Ramakers and designer Gijs Bakker as an anti-statement, Droog is a no-nonsense, down-to-earth design mentality that opposes the high style and form-based world of design. 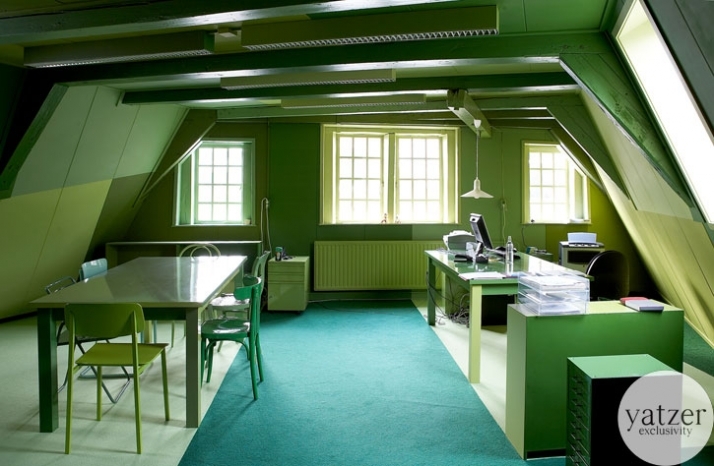 In contrast, it proposed a conceptual approach captured by the Dutch word ‘Droog,’ meaning ‘dry’ or ‘wry’. 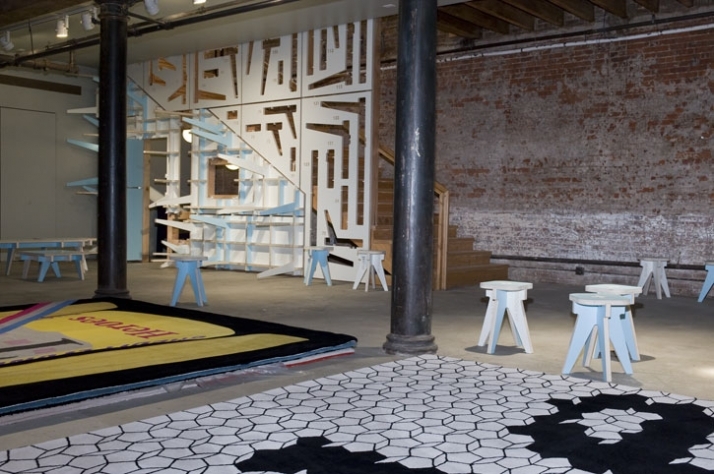 Droog collaborates with designers and commissioners from around the world to produce presentations and events out of which the Droog collection develops. 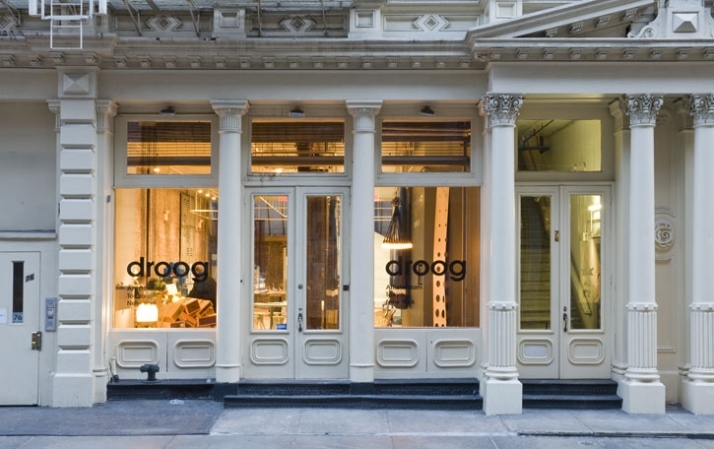 Droog has its flagship store ‘droog at home’ in Amsterdam and a second store in Tokyo, each having a different concept and its own local content.